﻿The ﻿Mushrooms ﻿are ﻿one ﻿of ﻿the ﻿UK’s ﻿best ﻿wedding, ﻿party ﻿and ﻿function ﻿bands. ﻿We ﻿have ﻿several ﻿years ﻿experience ﻿performing ﻿at ﻿many ﻿functions, ﻿weddings ﻿and ﻿parties ﻿all ﻿over ﻿the ﻿UK. ﻿The ﻿Mushrooms ﻿are ﻿a ﻿great ﻿choice ﻿for ﻿any ﻿party, ﻿wedding ﻿or ﻿event ﻿of ﻿any ﻿size. ﻿We ﻿enjoy ﻿playing ﻿live ﻿party ﻿music ﻿just ﻿as ﻿much ﻿as ﻿you ﻿enjoy ﻿listening ﻿to ﻿it! ﻿We ﻿play ﻿a ﻿wide ﻿selection ﻿of ﻿cover ﻿songs ﻿from ﻿the ﻿1950's ﻿up ﻿to ﻿modern ﻿chart ﻿hits. ﻿We ﻿pride ﻿ourselves ﻿on ﻿providing ﻿something ﻿for ﻿everyone ﻿to ﻿enjoy. ﻿Our ﻿wide ﻿selection ﻿of ﻿material ﻿includes ﻿well ﻿known ﻿rock ﻿n ﻿roll, ﻿disco, ﻿funk, ﻿soul, ﻿blues, ﻿swing, ﻿rock ﻿and ﻿pop ﻿covers. ﻿We ﻿perform ﻿a ﻿tried ﻿and ﻿tested ﻿set ﻿of ﻿songs ﻿that ﻿never ﻿fails ﻿to ﻿get ﻿everyone ﻿up ﻿on ﻿the ﻿dance ﻿floor ﻿having ﻿a ﻿great ﻿time! 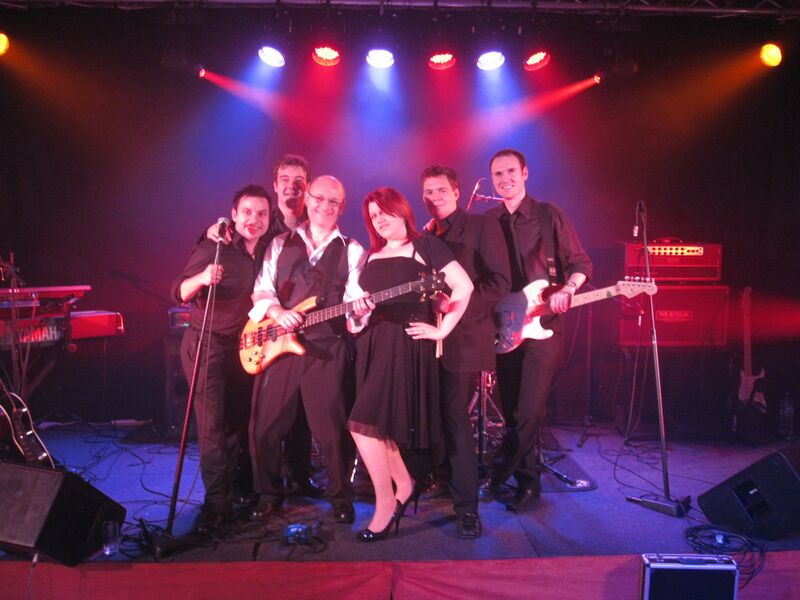 ﻿If ﻿you’re ﻿hosting ﻿a ﻿wedding ﻿or ﻿party ﻿then ﻿you ﻿can’t ﻿beat ﻿providing ﻿a ﻿live ﻿band ﻿for ﻿your ﻿guests. ﻿The ﻿Mushrooms ﻿have ﻿performed ﻿at ﻿huge ﻿range ﻿of ﻿events ﻿and ﻿are ﻿a ﻿great ﻿choice ﻿if ﻿you ﻿want ﻿live ﻿music ﻿for ﻿any ﻿of ﻿the ﻿following: ﻿a ﻿Wedding ﻿Reception, ﻿Corporate ﻿Function, ﻿Dinner ﻿Dance, ﻿Birthday ﻿Party, ﻿Summer ﻿Ball, ﻿Christmas ﻿Party, ﻿Wedding ﻿Anniversary ﻿or ﻿Charity ﻿Event. ﻿We ﻿always ﻿ensure ﻿your ﻿event ﻿is ﻿one ﻿to ﻿remember. ﻿We ﻿perform ﻿regularly ﻿in ﻿Hampshire, ﻿Surrey ﻿and ﻿Berkshire ﻿but ﻿also ﻿welcome ﻿enquiries ﻿from ﻿further ﻿afield. ﻿All ﻿the ﻿members ﻿of ﻿The ﻿Mushrooms ﻿are ﻿experienced, ﻿professional ﻿musicians ﻿who ﻿perform ﻿to ﻿a ﻿very ﻿high ﻿standard. ﻿As ﻿a ﻿live ﻿wedding ﻿band ﻿we ﻿have ﻿received ﻿many ﻿great ﻿reviews ﻿and ﻿we ﻿are ﻿always ﻿looking ﻿at ﻿ways ﻿to ﻿make ﻿your ﻿wedding, ﻿party ﻿or ﻿event ﻿especially ﻿enjoyable. ﻿We ﻿have ﻿a ﻿passion ﻿for ﻿music ﻿and ﻿performing ﻿which ﻿we ﻿bring ﻿to ﻿every ﻿one ﻿of ﻿our ﻿shows. ﻿As ﻿well ﻿as ﻿the ﻿live ﻿show ﻿from ﻿the ﻿band ﻿we ﻿are ﻿also ﻿happy ﻿to ﻿DJ ﻿before, ﻿after ﻿and ﻿in-between ﻿our ﻿sets. ﻿This ﻿saves ﻿you ﻿the ﻿money ﻿and ﻿hassle ﻿of ﻿having ﻿to ﻿book ﻿a ﻿DJ ﻿as ﻿well ﻿as ﻿a ﻿band ﻿for ﻿your ﻿wedding ﻿or ﻿party. ﻿We ﻿can ﻿also ﻿provide ﻿background ﻿music ﻿during ﻿the ﻿meal ﻿and ﻿our ﻿PA ﻿system ﻿is ﻿available ﻿for ﻿wedding ﻿speeches ﻿or ﻿any ﻿announcements. ﻿We ﻿are ﻿completely ﻿self ﻿contained ﻿and ﻿provide ﻿professional ﻿lighting ﻿and ﻿sound ﻿equipment ﻿all ﻿of ﻿which ﻿has ﻿been ﻿fully ﻿PAT ﻿tested. ﻿We ﻿always ﻿dress ﻿appropriately ﻿for ﻿your ﻿event ﻿and ﻿pride ﻿ourselves ﻿on ﻿providing ﻿a ﻿great ﻿sounding ﻿and ﻿looking ﻿show. 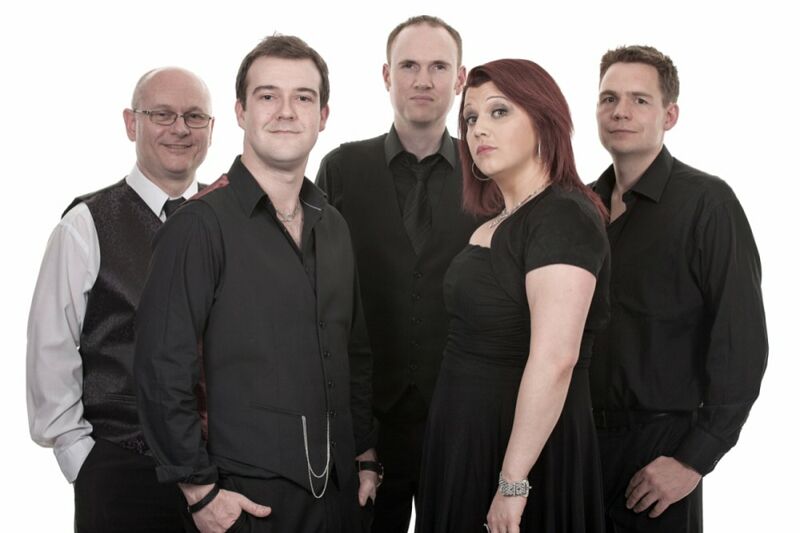 ﻿We ﻿are ﻿professional, ﻿reliable, ﻿friendly, ﻿approachable ﻿band ﻿and ﻿always ﻿happy ﻿to ﻿work ﻿with ﻿your ﻿requirements. ﻿A ﻿large ﻿amount ﻿of ﻿our ﻿bookings ﻿are ﻿weddings. ﻿We ﻿understand ﻿the ﻿importance ﻿of ﻿your ﻿wedding ﻿and ﻿appreciate ﻿that ﻿a ﻿wedding ﻿can ﻿be ﻿a ﻿lot ﻿of ﻿organising, ﻿so ﻿let ﻿us ﻿take ﻿the ﻿stress ﻿away. ﻿We ﻿can ﻿guide ﻿you ﻿as ﻿to ﻿will ﻿work ﻿best ﻿for ﻿your ﻿wedding, ﻿personalise ﻿the ﻿show ﻿to ﻿your ﻿musical ﻿tastes, ﻿take ﻿care ﻿of ﻿the ﻿timings ﻿on ﻿the ﻿night ﻿and ﻿liaise ﻿with ﻿the ﻿venue. ﻿All ﻿you ﻿have ﻿to ﻿do ﻿is ﻿relax ﻿and ﻿enjoy ﻿the ﻿show. ﻿We ﻿have ﻿played ﻿shows ﻿in ﻿a ﻿huge ﻿range ﻿of ﻿venues ﻿including ﻿marquees, ﻿hotel ﻿function ﻿rooms, ﻿village ﻿halls, ﻿converted ﻿barns, ﻿manor ﻿houses, ﻿stately ﻿homes, ﻿castles ﻿and ﻿many ﻿more. ﻿We've ﻿played ﻿to ﻿crowds ﻿of ﻿50 ﻿to ﻿2000 ﻿and ﻿to ﻿audiences ﻿of ﻿all ﻿ages. ﻿We ﻿always ﻿make ﻿sure ﻿everyone ﻿has ﻿great ﻿night ﻿by ﻿singing ﻿and ﻿dancing ﻿all ﻿night ﻿long! ﻿Don’t ﻿just ﻿take ﻿our ﻿word ﻿for ﻿it ﻿check ﻿out ﻿are ﻿many ﻿testimonials ﻿and ﻿reviews ﻿from ﻿our ﻿previous ﻿wedding ﻿and ﻿party ﻿clients. ﻿Below ﻿is ﻿just ﻿a ﻿selection ﻿of ﻿the ﻿comments ﻿we ﻿have ﻿received ﻿you ﻿can ﻿view ﻿the ﻿rest ﻿on ﻿out ﻿reviews ﻿page. ﻿You ﻿can ﻿also ﻿view ﻿the ﻿band ﻿in ﻿action ﻿on ﻿our ﻿videos ﻿and ﻿photos ﻿pages. ﻿If ﻿you’re ﻿looking ﻿for ﻿a ﻿great ﻿live ﻿band ﻿for ﻿a ﻿wedding, ﻿party ﻿or ﻿function ﻿in ﻿Surrey, ﻿Hampshire, ﻿Berkshire, ﻿Sussex ﻿or ﻿further ﻿afield ﻿then ﻿choose ﻿The ﻿Mushrooms. ﻿We ﻿can ﻿turn ﻿your ﻿event ﻿into ﻿the ﻿party ﻿or ﻿wedding ﻿of ﻿the ﻿year!